The Pilates Body studio is dedicated to teaching Pilates in a private and focused manner in order to cater to the individual client(s). We do a postural evaluation and apply Pilates principles starting in the first session, building the foundation for a successful Pilates experience. Our private, semi-private and small-size mat groups ensure individual programming and necessary corrections that change an individual’s posture, muscular imbalances, overall fitness and well being. Our teachers use both verbal and manual corrections of the movements to ensure precision and a deeper understanding of the work. We dedicate the studio to one session at a time in order to provide a private and focused atmosphere. In addition to the many years of education we have in Pilates training, our teachers are degreed physical fitness professionals. With a superior base of knowledge in anatomy, physiology and kinesiology, we are able to program appropriately for a variety of injuries, health issues and sport-specific goals. We confer with a client’s physical therapist and/or physician when necessary. Each of our teachers maintains and expands their Pilates education through yearly courses and workshops. 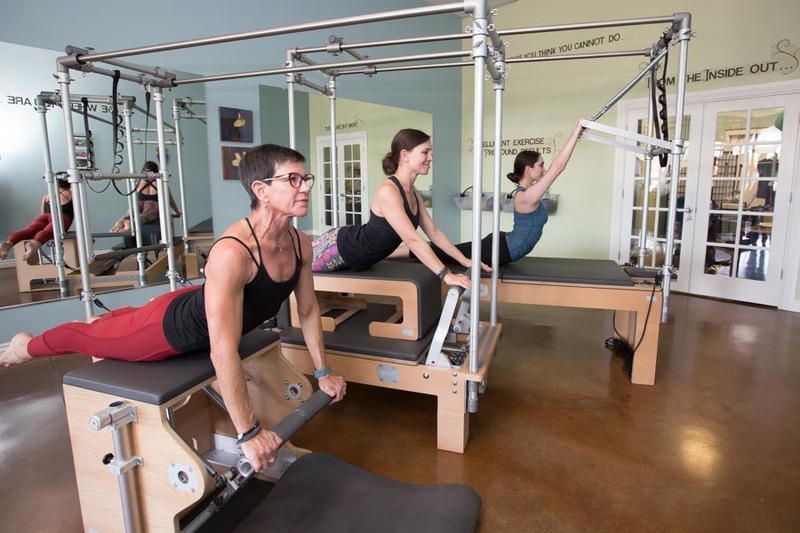 We are dedicated to the ingenious concept and respect the original works of Joseph Pilates, as well as the more developed science of the methods we teach.